Crime and insecurity are deeply entrenched in some cities. While we have rankings of the most dangerous cities in the world, this does not give a clear picture of how and why dangerous spaces develop in cities. We are analysing case studies from cities in France, Colombia, Brazil and Australia to understand the factors that lead to insecurity, and to examine possible solutions. Australian cities aren’t immune to the dangers. While there is no clear upward trend in crime nationally, the social polarisation and concentration of certain crimes in parts of the cities of Sydney and Melbourne are cause for concern. As a result, New South Wales and Victoria are the states with the highest rates of unlawful entry and armed robbery. Sydney in particular is experiencing a “ghettoisation effect”. Social polarisation between suburbs is increasing. Another issue in Sydney’s western suburbs is domestic violence. While crime rates here are much lower than in cities in Latin America and France, we need to be mindful of how neighbourhoods can become dangerous through neglect by planners and policymakers. Social disorganisation theory has dominated research in this field. Central to this approach are neighbourhood mechanisms to reduce crime and disorder. Some have criticised this theory for not considering the influences on crime of the larger urban political economy. Political and economic decisions may have direct effects by increasing unemployment, residential instability (via planning and housing policies) or population density (via zoning policies). Reducing crime is also the job of planners. Research has shown, for instance, that better planning can reduce the tragedies of domestic violence. Incentives at the city scale – such as tax breaks and policies to decentralise public services and promote economic activity in poorer outer suburbs – need to be twinned with strategies to foster social integration at the neighbourhood level. Violence and high crime rates have created stark divisions in some Latin American cities. Residents have responded with several strategies to feel safe at home. In Argentina, crime rates soared after the political and financial crisis of 2001. Citizens started building barricades and fortified their living environments with all types of security devices. Gated communities became the preferred type of housing, especially for upper-middle-class groups who could afford it. However, gating and security devices have not been successful deterrents to crime. The strategies that have succeeded are linked to encouraging more social integration, shared use of public space, and less opposition to and marginalisation of “the other”. “Social urbanism” policies in cities like Medellín, Colombia, and Rio de Janeiro, Brazil, have led to dramatic reductions in crime. The idea of these interventions is not only to physically upgrade housing and public space, but to improve social outcomes. In Medellín, public space was improved in some of the poorest neighbourhoods, which included new infrastructure. Alleys were upgraded, to make walking easier and increase safety, and the famous escalators were built. The community manages these escalators, which improve access to the upper areas of neighbourhoods and help create safer environments. The installation of aerial public transport (“metrocable” cable cars) also improved access and helped integrate these areas with the city centre. This in turn led to greater awareness of their existence and less prejudice against them as areas of marginalisation. Residents of other areas who wouldn’t normally travel through these poor neighbourhoods became more aware of them while using public transport. In the case of Brazil, the Favela Bairro program to upgrade slums in Rio de Janeiro in the late 1990s succeeded in integrating favelas with the city to improve living conditions and reduce crime rates. For such projects to succeed it is essential to have community participation, engagement and buy-in. 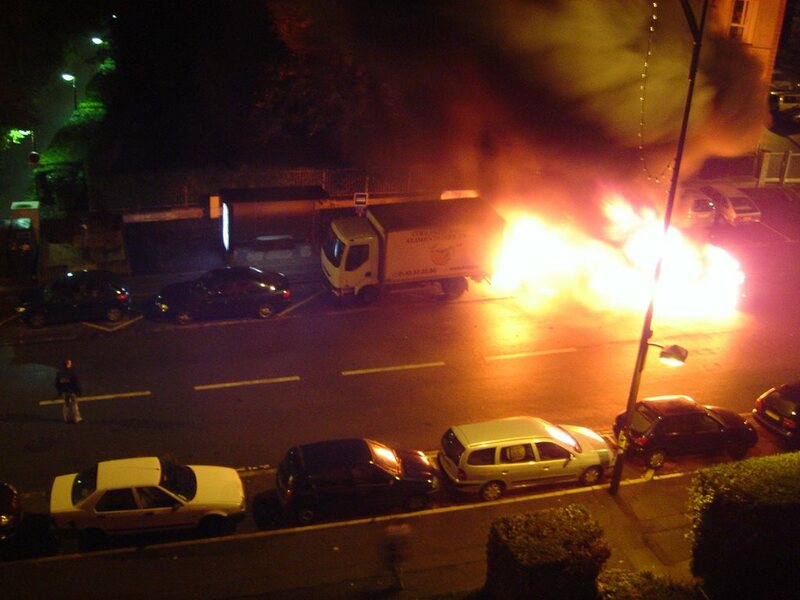 The 2005 riots in French cities were the results of both structural issues, such as unemployment and police violence, and long-term social and spatial segregation. Since the 2000s, the “action on places” paradigm has dominated urban policy. Its goal has been to tackle spatial inequality, with the National Agency for Urban Renewal (ANRU) playing a central role. In exchange for state funding, cities had to commit to eradicate old social housing projects and build new residential buildings. Previously, the policy for “deprived neighbourhoods” allowed elected officials and local representatives of the state a larger choice of strategies. These included renovation, positive discrimination, mediation, and the development of local community-led initiatives. The urban renewal policy, launched in 2003, restricted the range of strategies. It is now criticised because it changed the urban form of neighbourhoods without really changing the social issues. Today, the possible avenues for action are more diverse. Efforts are concentrated in the most deprived neighbourhoods, with employment, education and security as the budget priorities. Read more: France has a unique approach to regenerating inner cities – what can we learn from its success? Many strong social ties exist in these so-called deprived neighbourhoods. One promising avenue for action, but which currently attracts the least investment, is to focus on the strengths of those neighbourhoods. This can be done by supporting local initiatives, especially those led by women. In the book Remake the City, two French researchers stress that it is illusory to think that solutions imposed from above can prevent ghettoisation. They see a need to learn from the experiments carried out in Latin America and in the United States. In the US, the rise of the “community development corporation” has helped to turn negative situations into experiences that foster social integration at the neighbourhood level and present a more positive image of the “ghetto”. Even if the contexts are very different, these examples show that the factors at work in places at risk of ghettoisation need to be analysed at different scales. Solutions need to integrate bottom-up actions with strong engagement from communities and a policy rethink on the structural drivers of strong social and spatial segregation in cities.